Trevvy | Scoops | Lifestyle | Fxxx Uxxx DB! Scoops > Lifestyle > Fxxx Uxxx DB! 06 Nov 2015, Singapore — You've seen them. Bronzed-tanned, bulging muscles and sometimes with a generous sprinkling of crystals on their bodies. They're often thought to be arrogantly cute, which is often forgivable because well, they're effin' hot. They're often young, trendy and dressed very lightly, strategically revealing whatever bulges that they have. And they're not always of the male species. More often than not, they're brandishing proudly — an oar. Psyyyche! it's not an OAR it's a paddle. Right. Stereotypes aside, let's be objective. They're all muscle-y and bulging in all the right places, because they put in the hard work required to get all bulge-y in the first place, and hard work always pays off. 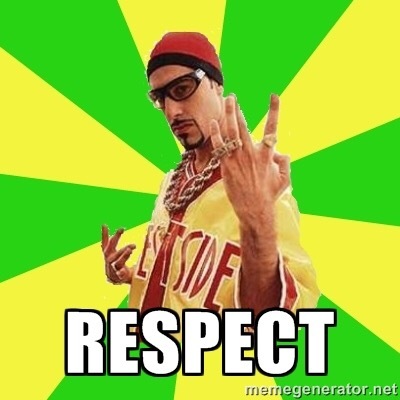 So as Ali G so eloquently put it, Resplect, Bruffah! Most importantly though, as with all stereotypes, it simply isn't true — they're not all arrogant, nor are they all bulging muscles, because behind every muscle man and woman there was skinny or fat person struggling with societal expectations to be better than what they were. More often than not, I hear from people who want to change, who want to be part of a greater collective in a team sport, but they're afraid that they'd be judged for being who they are — skinny, fat, unfit, un-hunky, un-young and any other un-adjectives you can throw your shoe at. Hannor! Tragic! So how? Friends United DB - FUDB — As I was saying, this stereotype of arrogant dragonboat types, and indeed teams, simply isn't true. Take Friends United Dragonboat (FUDB). They're not all muscle-y and bulge-y, and the only A-word I can think of that describes them is Accommodating. Oh and there's the F-word — Family. Their creed is family and togetherness; this is what I believe in essence, a TEAM should be. They don't just train together, they also play together with their regular movies, meals, birthday parties and hang outs. From my observations they were family and it made me a little jealous that I wasn't a part of that. If my knee and my back weren't so FUBAR, I'd have already joined the fellows at FUDB. So if you're looking for a great team, JOIN FUDB. Drop the team a message here (bit.ly/FUDB-FB), get a'paddlin' and have creamloads of fun doing it! Swimwear courtesy of Teron Swimwear. Meal with people so conscious with their own exterior? Tai Hua Hill Street Minced Pork Noodle and Garden Street Kway-Chap are out.